The number of asteroids colliding with the Moon and the Earth was about two to three times higher in the last 290 million years than in the previous 700 million years, finds a study that challenges previous understanding of Earth's history. The reason for this jump in the impact rate is not known but it could be related to large collisions taking place more than 290 million years ago in the main asteroid belt between the orbits of Mars and Jupiter, said an international team of researchers, including from the UK's University of Southampton. The team studied the surface of the Moon using thermal data and images collected by NASA's Lunar Reconnaissance Orbiter (LRO), and compiled the ages of all lunar craters younger than about a billion years. Younger craters tend to be covered by more boulders and rocks than older craters. This happens because the boulders ejected by an asteroid strike get ground down over hundreds of millions of years by a constant rain of tiny meteorites. When the team compared the ages and numbers of craters on the Moon to those on Earth, they made the remarkable discovery that they are extremely similar, challenging the idea that Earth had lost so many craters. 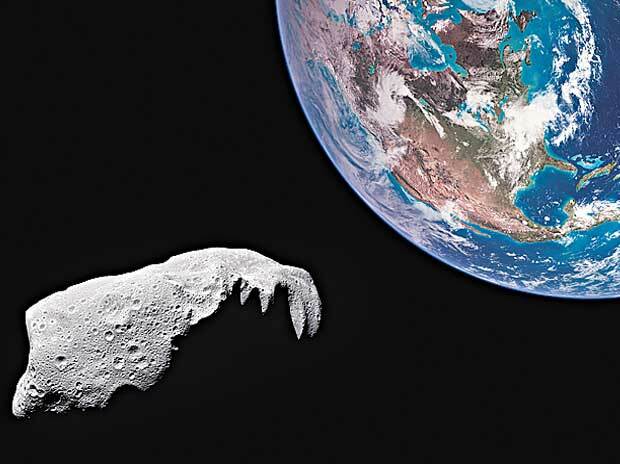 "This means that the Earth has fewer older craters on its most stable regions, not because of erosion but because the impact rate was lower prior to 290 million years ago," said William Bottke, an asteroid expert at the Southwest Research Institute in Colorado. "Proving that fewer craters on Earth meant fewer impacts -- rather than loss through erosion -- posed a formidable challenge," added Thomas Gernon, Associate Professor at the University of Southampton. However, in the paper published in the Science journal, Gernon showed that long-extinct diamond volcanoes kimberlite pipes formed over the past 650 million years in stable terrains are largely intact, indicating that large impact craters formed over the same period and in the same terrains should also be preserved. This explained the similarity of the Earth and Moon's impact crater records, and helped the team establish that the sparsity of craters formed before 290 million years ago is because there were fewer asteroid strikes before then, the researchers said.